Between 1846-1848 nearly 100 Irish immigrants to the US deserted and defected from the US military to join the Mexican resistance during the US colonial attacks on Mexico, creating the St. Patrick’s Battalion. While St. Patrick’s Day in Chicago is mostly just a time to drink green beer and make a mess of the streets, we will use this day to celebrate solidarity and resistance. 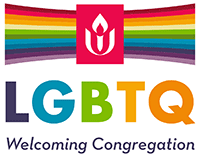 Unitarian Universalism calls on us all to take risks and choose sides in the face of injustice; our worship will lift up stories of solidarity.